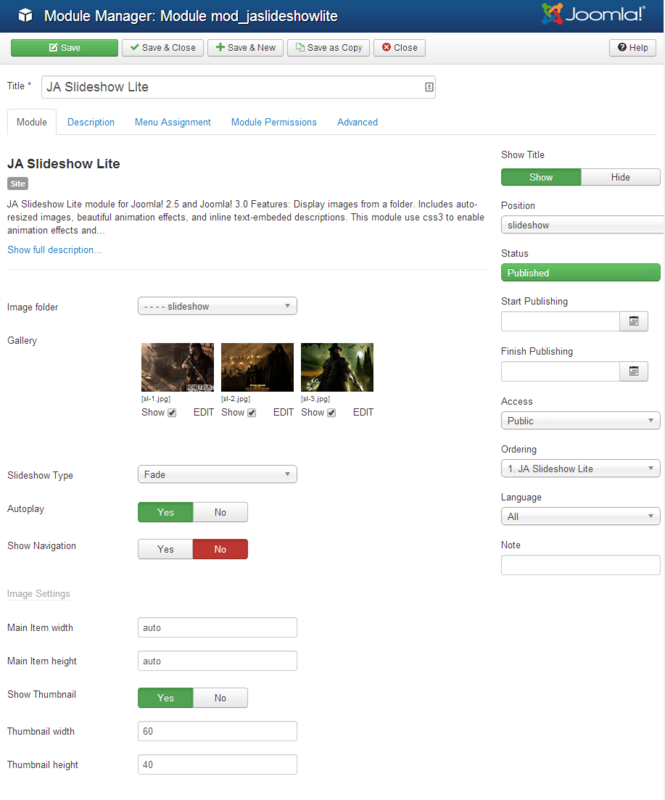 JA Content slider module slide your articles from Joomla categories with cool effects, rich backend configs covering layout, animation control, auto thumbnail creation, image sizes, number of articles, sorting, etc. Slide your content with width and height properties. You can set the number of content to display in a tab. You can set categories contents to display. 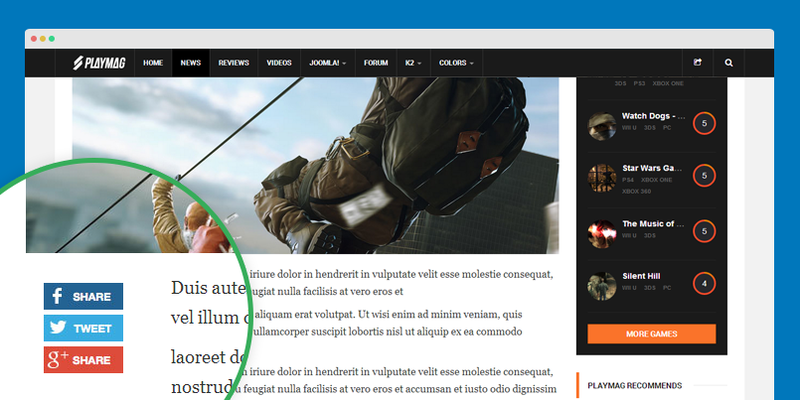 You can set display title, link title, introtext, readmore text links or not. You can set the slide to auto run or not. Default is YES. Set direction of slide. Default is left. Set time for rolling delay time and animation time. 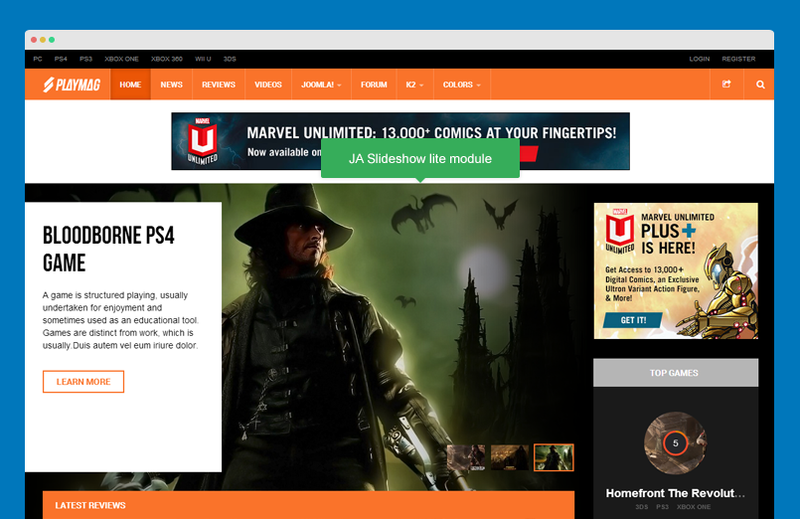 In JA PLaymag, we make alternative layout for the module. Open the "Advanced" tab in the module setting panel, select "video" in ther Alternative Layout option. 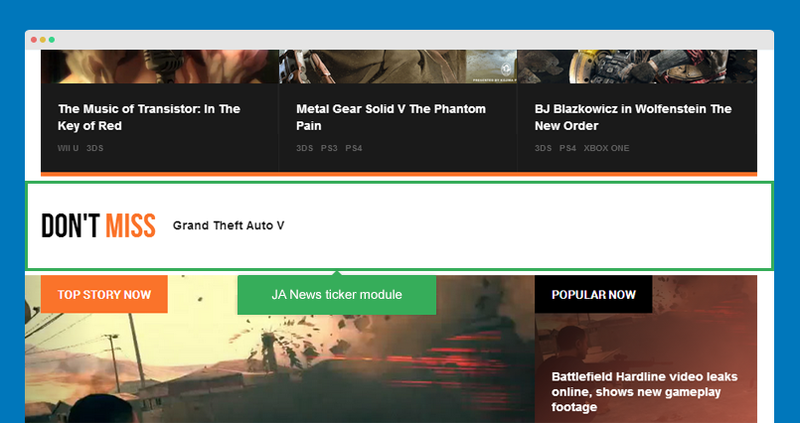 To customize the layout, please open file: templates\ja_playmag\html\mod_jacontentslider\video.php, then customize the file. We suggest you to clone a new file so you can have backup file. 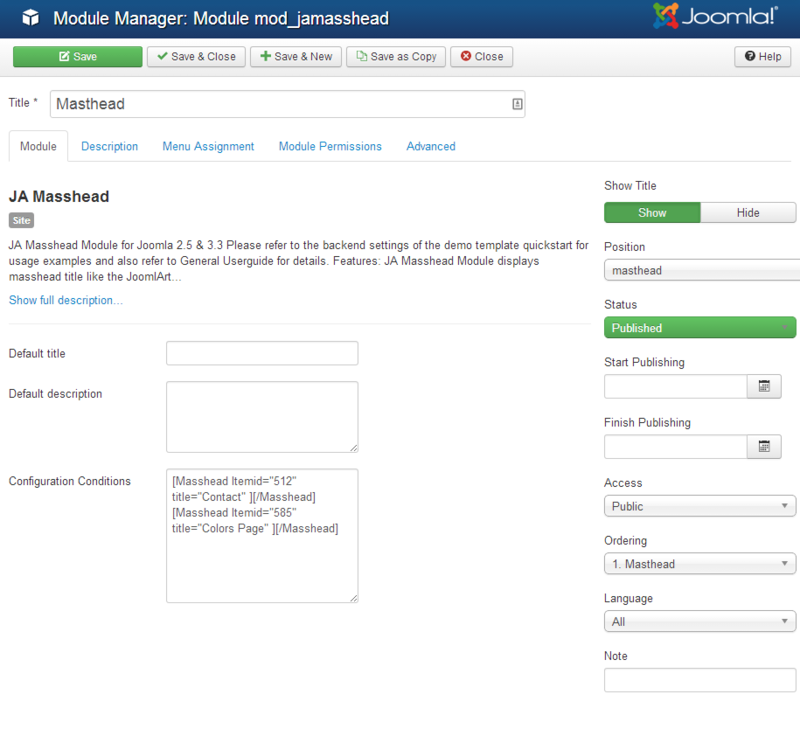 JA Masshead Module displays masthead title like the JoomlArt masthead. Title and description can be specifically configured for any page. 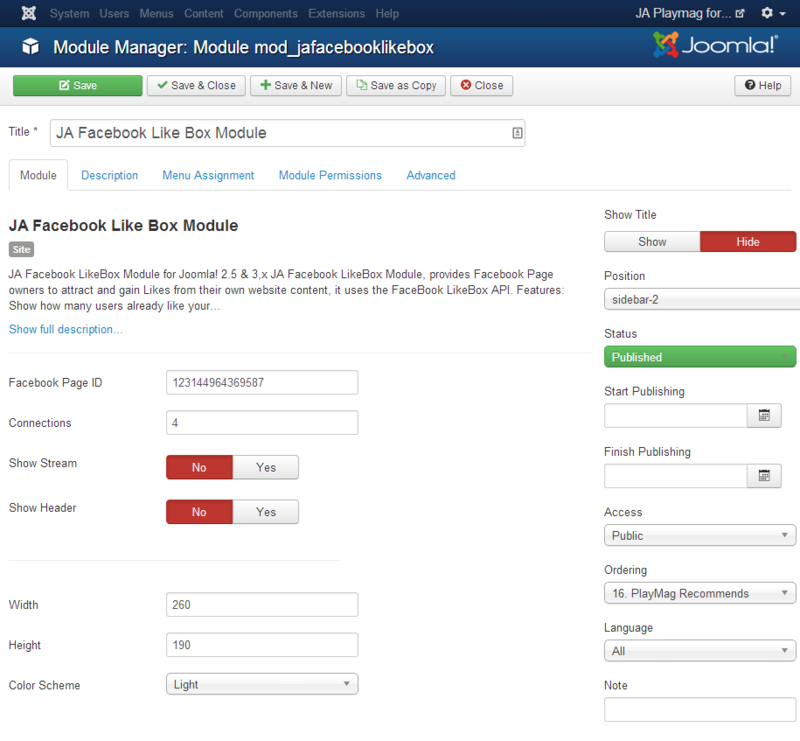 JA Facebook Likebox Module, provides Facebook Page owners to attract and gain Likes from their own website content, it uses the Facebook LikeBox API. 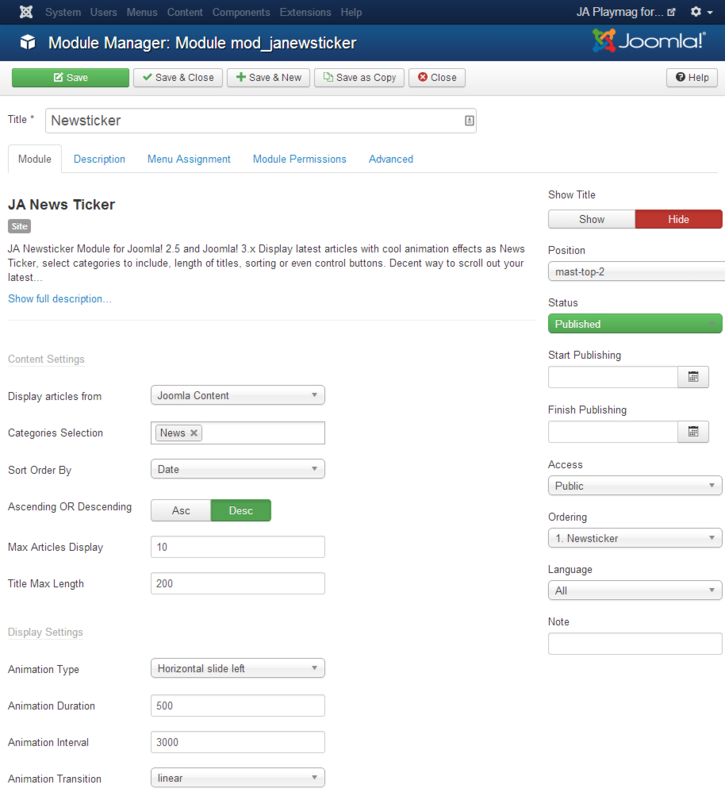 JA Bookmark Plugin for Joomla! 2.5. Help your visitors to promote your site and allows visitors to bookmark your pages easily with many popular services. Allows the integration of Addthis and AddToAny online Bookmark Services. Easy to use. Install and configure. 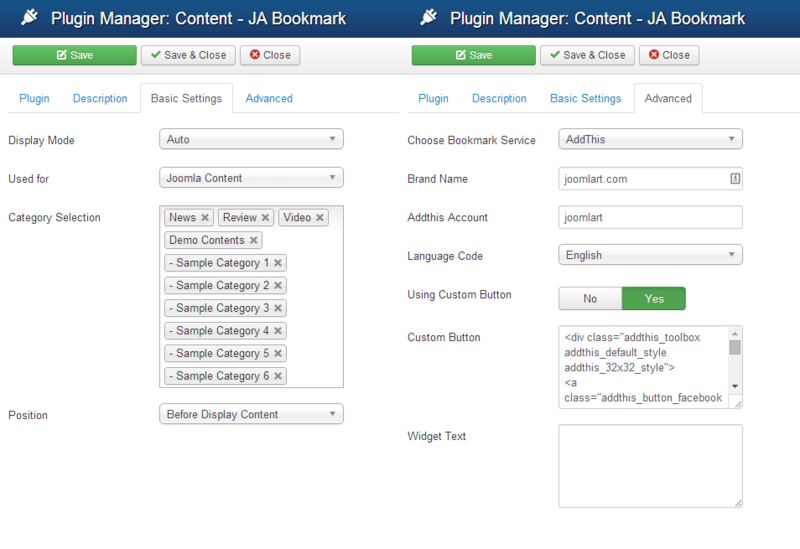 Option to enable JA Bookmark Plugin for all. 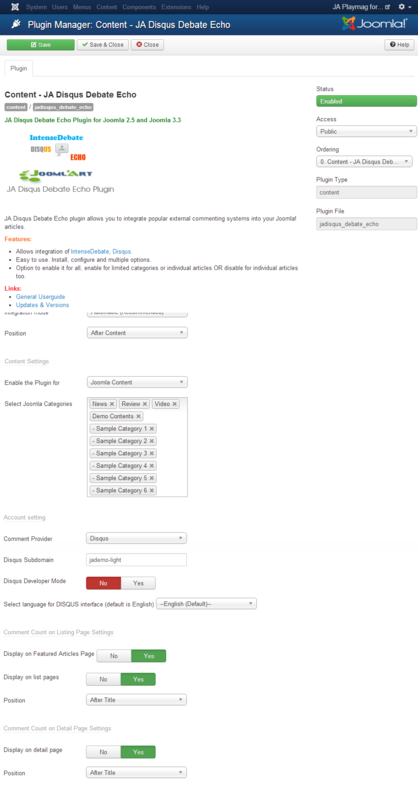 Enable for limited categories or individual articles OR disable for individual articles too. 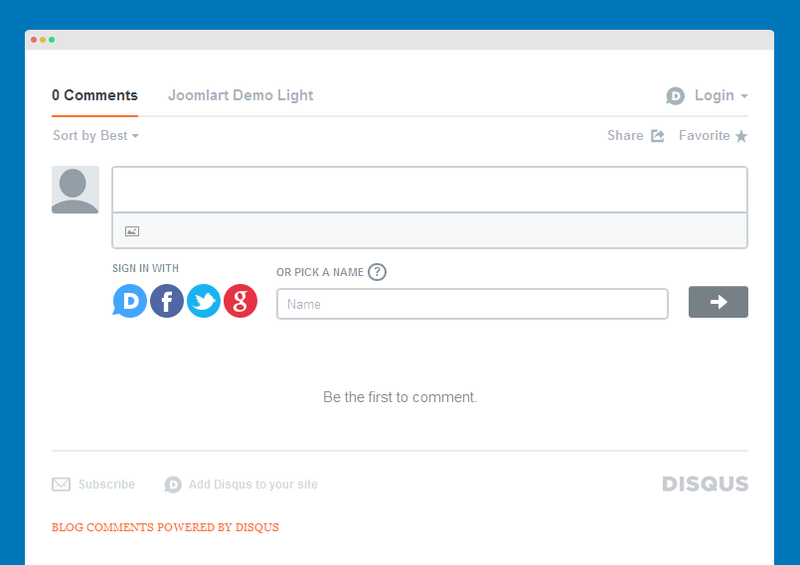 JA Disqus Debate Echo plugin allows you to integrate popular external commenting systems into your Joomla! articles. Allows integration of IntenseDebate, Disqus. Easy to use, install, configure and have multiple options. 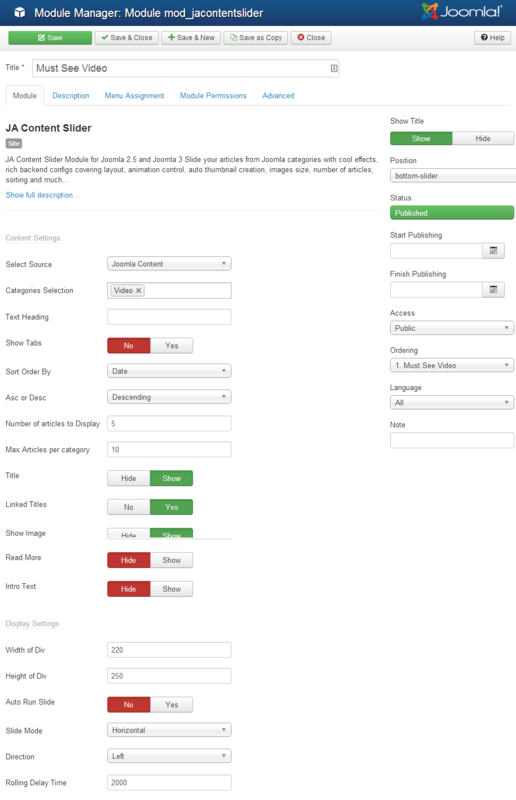 Option to enable it for all, enable for limited categories or individual articles OR disable for individual articles too.